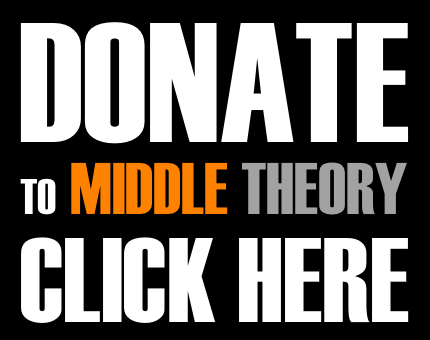 This week on Middle Theory, we look at the big issues following the recent U.S. Midterm Elections, including protests, clashes with media personalities, and the “resignation” of Jeff Sessions. It’s been a bad week for Alec Baldwin, the actor, SNL Trump impersonator in-chief, and occasional Hollywood Hot-Head. After news of an altercation between Baldwin and an NY commuter over a parking spot, it was announced on Tuesday (as election results were rolling in) that Baldwin’s nascent talk show will be moved to a new night… is this the beginning of the end? More importantly, how can we understand “The Baldwin Effect” more broadly speaking, and what does searching for historical parallels to celebrity harassment yield as far as Google’s search engines go? Speaking of celebrity harassment, Fox News host Tucker Carlson was also in the news recently after ANTIFA protestors were seen outside his home doing what they do best: chanting mindlessly, rattling jars of coins, harassing and scaring Carlson’s wife and children, and doing all the nonsensical things that they refer to as “making a difference.” More concerning for us, as we allude to throughout the program, is what happens when the dog who is continually prodded by tormentors finally bites back. Although it’s sad, it’s not surprising that such things would be afoot just after a highly contentious U.S. election. 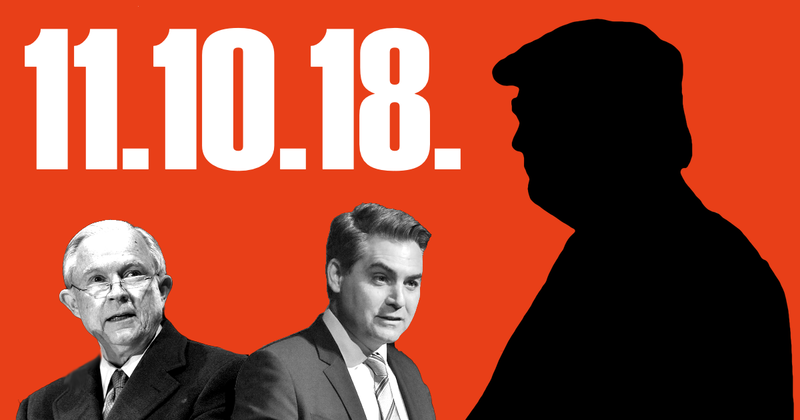 In other news of “fallout” after the polls were rolling in, we shift our attention to Donald Trump’s at first lackluster, and then bombastic press conference the following day, during which an altercation occurred after which CNN correspondent Jim Acosta ended up having his White House press credentials revoked. This, however, wasn’t the biggest post-election news: the controversial “resignation” of Attorney General Jeff Sessions has got many voices of the newly-elected Democratic Majority in Congress crying foul; but was this well-planned and orchestrated by Trump in order to block further inquiries by the new Congress, and the ongoing Muller probe? We weigh the pros and cons on this week’s edition of the podcast. This entry was posted in Podcasts and tagged Alec Baldwin, Donald Trump, Fox News, Jeff Sessions, Jim Acosta, Midterm Elections, Muller Probe, Tucker Carlson by Micah Hanks. Bookmark the permalink.